Time to check in again over at nycTaper and peep their Fall/Winter Schedule. 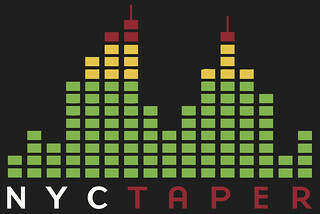 For those who don't know nycTaper is a great site for live music fans. They are fantastic fellas who do a hell of a job capturing the live music scene in this amazing city. Today we are focusing on their Fall/Winter lineup and a few of these shows have already been shared on the site.